In the world he was known as Alexi and born of Alexi Amvrosif in 1846 in Orenburg in the Urals. After the death of his wife in 1876 he departed for the Holy Mountain of Athos and entered the Monastery of Saint Panteleimon. On March 12, 1880 he became a monk and took his name Aristokles. In 1884 he was ordained deacon and a priest, and in 1886 he became a great-schema monk. 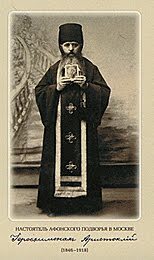 In 1887 he was sent to the metochion of his monastery in Moscow, where he appeared as a new founder and was a spiritual father of many souls. Staying in the dependency from 1891-1894 created around him a great spiritual work. 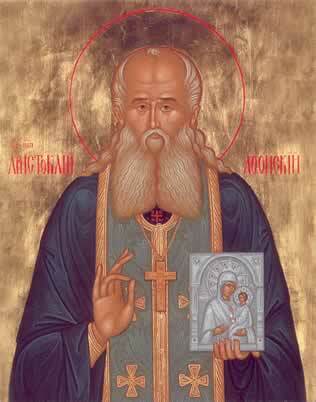 From 1895-1909 he returned to his monastery. 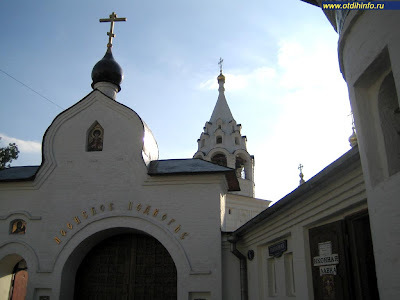 From 1909-1918 he went and stayed again at the metochion of Moscow. He was adorned with the gifts of foresight and wonderworking, with which he helped many souls. His sacrificial love and merciful heart softened the hardest of hearts. Countless needy people found salvation near him. Rightly he is called the Elder of Moscow. 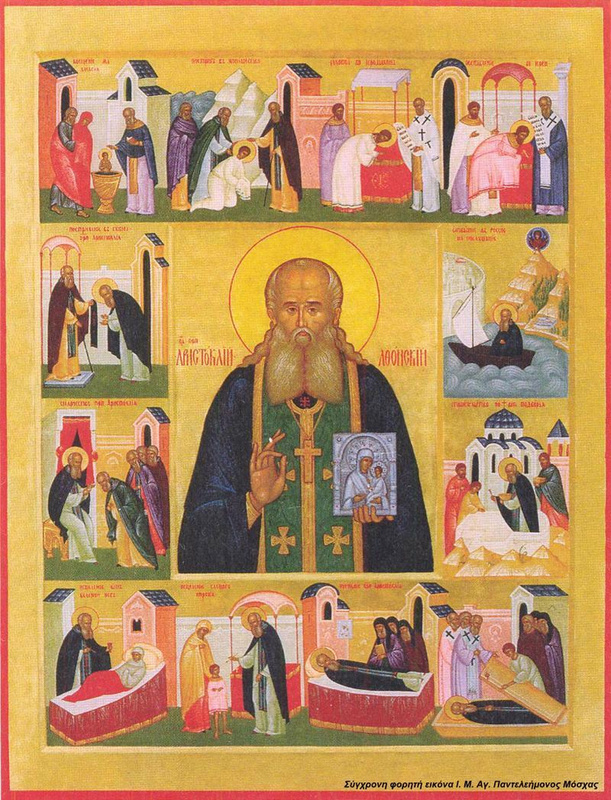 His blessed repose occurred on August 24, 1918 in his cell in the Metochion of Saint Panteleimon. He made three times the sign of the cross while looking at the icon of Gorgoepikoos, for which he had a special reverence and to whom he had built a church, and quietly surrendered his spirit to the Creator. His body was buried beneath the Church of Panagia Gorgoepikoos. 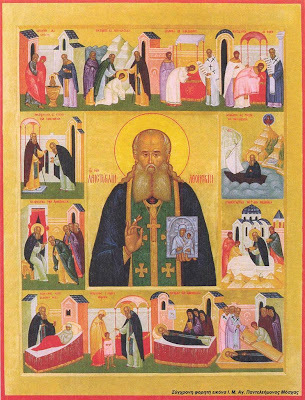 In 1923, in order for his body to not be desecrated by atheists, he was transferred to the Monastery of St. Daniel, as was foretold by St. Aristokles. 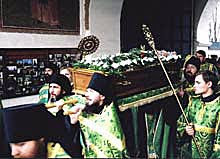 In 2001 the Patriarchate of Moscow placed him in the Russian Book of Saints. In 2004 the translation of his honorable relics took place and they were moved to the church of his metochion, where they continue to work wonders and give off a beautiful fragrance. "An evil will soon conquer Russia, where it goes bad rivers of blood will flow. This is not the soul of Russia, but an opposite. It is not an ideology or philosophy, but a spirit from hell. In recent days, Germany will be divided. France will be nothing. Italy will suffer from natural disasters. Britain will lose the Empire and all its colonies, and reach almost to total destruction, but saved by the prayers of enthroned women. The U.S. will feed the world but in the end will collapse. Russia and China will destroy each other. Eventually, Russia will be free and the faithful will go ahead and turn many of the nations to God." "Now we pass the time before Antichrist. But Russia will ultimately be saved. There will be a great misery and suffering of many tortures. All Russia will become a prison, and each will strongly beg the Lord for forgiveness. Each one will have to repent of their sins and to tremble to do even the slightest sin, but must strive to do good, even the smallest. Because even the wing of a fly has weight, and the scales of God are accurate. And when even the smallest good container tilts the scales, then God will reveal His mercy to Russia." "The end will come from China. There will be a tremendous outburst and a miracle from God will be revealed. And then there will be a completely different life, but this will not last long." "God will remove all the leaders, so the Russians can look only to Him. Everyone will turn away from Russia, others will leave, leaving it to itself, so that Russians would only expect help from the Lord. You will hear in other states that have started riots similar to those in Russia. We hear about war, and there will be wars. But wait until the Germans take up arms because they have been elected as the weapon of God to punish Russia, but also as a weapon later to release. The Cross of Christ will shine throughout the world and our country will be glorified and become like a beacon in the darkness of all. " For more details about St. Aristokles, read Ch. 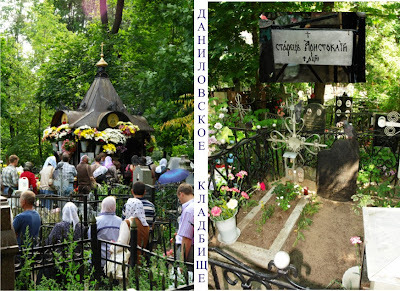 2 of Living Theology: Russian Spirituality in the 20th Century by Serafim Gascoigne, titled "Starets Aristokles of the St. Panteleimon Chapel In Moscow (1838-1919)", which can be read here.